Eating disorders are serious conditions that negatively impact a person’s health, emotions and ability to function normally. Spread awareness during National Eating Disorders Awareness Week and seek help for loved ones who may be living with an eating disorder. 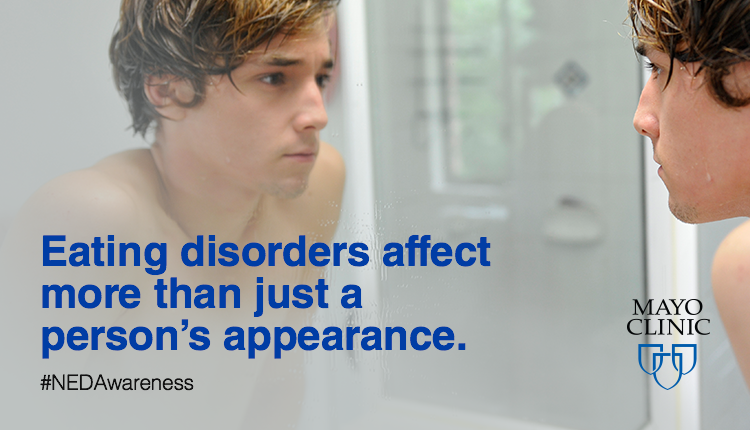 The National Eating Disorders Program educates and screens individuals for eating disorders and connects those who may be at-risk with local treatment resources. Eating disorders are serious conditions that negatively impact a person’s health, emotions and ability to function normally.